Trust – I earn the trust of my clients by providing sound, consistent advice. Experience – I’ve spent years building domain expertise, which enables me to understand my client’s needs. Independence – being conflict free strengthens the trust I establish with my clients. Results – investment banking is a results-driven business. To me, a successful result means accomplishing all of my client’s goals, not simply their financial objectives. My wife and two daughters. The motivation I get from them each day is truly amazing. The most fulfilling moments of my professional career have been when clients tell me how I have bettered their life and the lives of their families and employees. That’s a great feeling that I strive for each and every day. Eric Coonrod has more than 15 years of investment banking experience providing financial and operational advisory services to private and publicly-held companies in the U.S. and internationally. Eric leads Cascadia Capital’s Health & Wellness practice, serving companies that operate in the Vitamins, Supplements, Functional Foods, and Fitness sectors. He has transactional experience across a wide range of industries, including business services, consumer products, energy, food & beverage, and manufacturing. 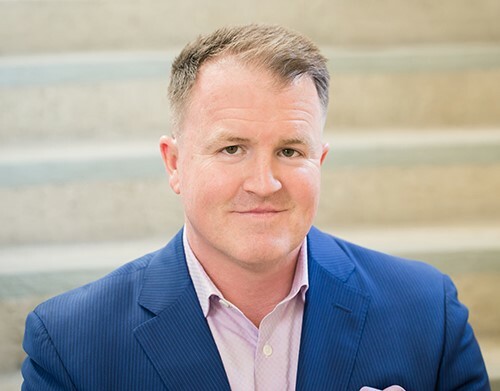 Eric Coonrod is a Senior Vice President at Cascadia Capital, responsible for originating and executing transactions in the Health & Wellness sector. He has participated in numerous corporate finance and capital market transactions, including mergers and acquisitions, follow-on equity offerings, initial public offerings, leveraged buyouts, and equity private placements. Prior to joining Cascadia Capital, Eric was a Senior Vice President at FocalPoint Partners in the mergers & acquisitions group and prior to that was a Director for CREO Capital Advisors in the mergers & acquisitions group. Eric served as the Chief Financial Officer of American Pinnacle Insurance Services, conducting a financial and operational turn-around, which resulted in a sale to Arsenal Capital in 2009. Early in his career, Eric was an Associate at The Mercanti Group and an Analyst on the Equity Capital Markets Desk for Deutsche Bank Securities. Eric graduated from Washington University in St. Louis with a B.S. in Business Administration and is registered with FINRA holding the Series 79 and 63 licenses. Started the Health & Wellness practice at Cascadia Capital. Special focus on Vitamins, Supplements, Functional Foods, and Fitness. Ran the Long Beach Marathon to raise funds for the Leukemia & Lymphoma Society.